Warning: Seeking validation from others puts us in an extremely vulnerable place. Marks us out as a target. Like walking around with a “Kick Me” sign on our back. 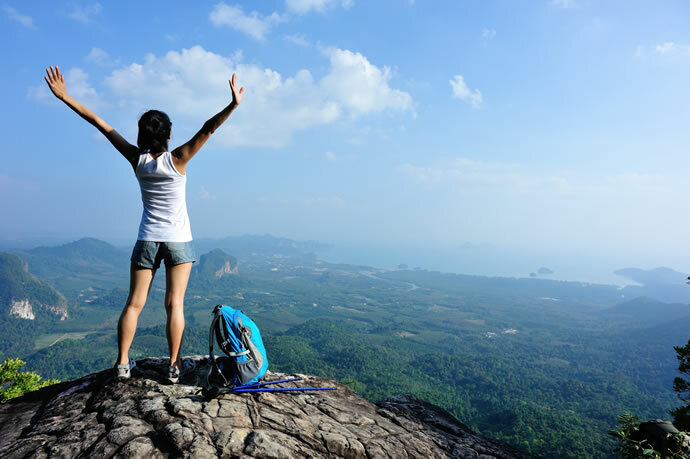 When we need something from others, we cede control over the outcome. This is rarely a problem with family and friends, but beyond those warm waters, be aware: There are sharks. Few of us have escaped the damage jealousy inflicts. The colleague who badmouths us behind our back because he fears any success of ours makes him appear less capable. The ruthless competitor is another shark. Everything is about power to the RC, and she covets all of it. Line from a quirky little TV movie Donovan Quick: “It’s not enough that we are seen to win; others must be seen to fail.” That’s the ruthless competitor. These attacks, delivered by people we know and deal with daily, feel personal even though they say a lot more about the attacker than they do about the attacked. Out in the wider world, however, what undermines our validation is highly impersonal: Money. Trends. The status quo. If you’re feeling defeated by these faceless forces, rest assured you are in excellent company. The all-time poster boy for lack of public validation is Vincent van Gogh. If you google famous paintings of the 1880s, a lot of Van Gogh’s works pop up, but the reality was completely different on that summer day in 1890 when he shot himself with a revolver on the streets of Auvers. Up to that day, Van Gogh had sold just one painting, The Red Vineyards, from the several thousand he’d done. During the years Van Gogh painted starry nights and cornfields and chairs with a pipe on their caned seats, people went to galleries to view Impressionist works. Renoir’s Girl with a Hoop. Monet’s Bathers at La Grenouillère. Beautiful pieces of light, air, and dazzling color. 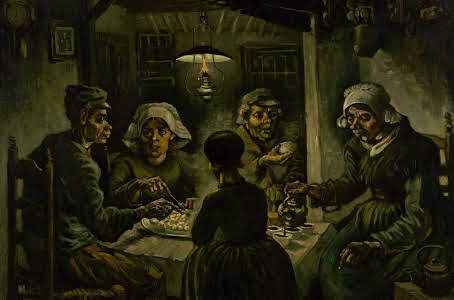 By contrast, Van Gogh’s first painting, The Potato Eaters, was perceived as crude, amateurish, ugly. A decade would pass after Van Gogh’s death before his enormous talent achieved the recognition he craved in life, and only then because his sister-in-law Joanna bothered to collect all his surviving work (his mother had thrown away crates of it—thanks, Mom). She kept pushing the powers of the art world until she got a Paris show in 1901, where at last, in the new century, the world was ready for Vincent. Today, of course, his paintings are worth millions, and it’s recognized that he was in the forefront of Expressionism, a style that celebrates the artist’s emotional response to his subject. Franz Kafka fared slightly better than Van Gogh. He was able to get a few of his short stories published in his lifetime, “The Metamorphosis” among them. But he wasn’t writing what everyone else was writing, and most publishers regarded his existentialist tales as too “out there” to be profitable. What he did manage to publish received scant attention. 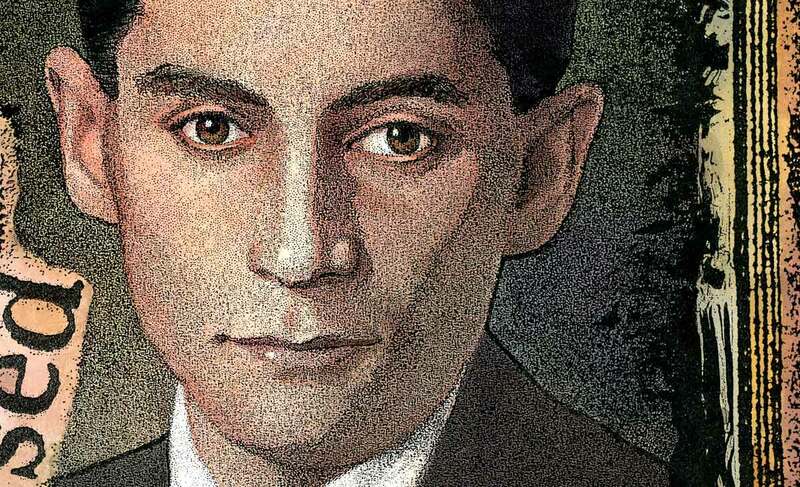 Kafka always craved more time to write, but his lack of success as an author meant he had to work full-time for the Worker’s Accident Insurance Institute in Prague, a job he held for most of his life, right up until the final months before tuberculosis killed him. The man who would come to be considered the most influential existentialist writer of the 20th century died thinking himself a failure. In his last days, he begged his good friend and fellow writer Max Brod to burn all his work. Fortunately, Brod ignored this request and, like Van Gogh’s sister-in-law, made it his mission to get his friend’s work out there. 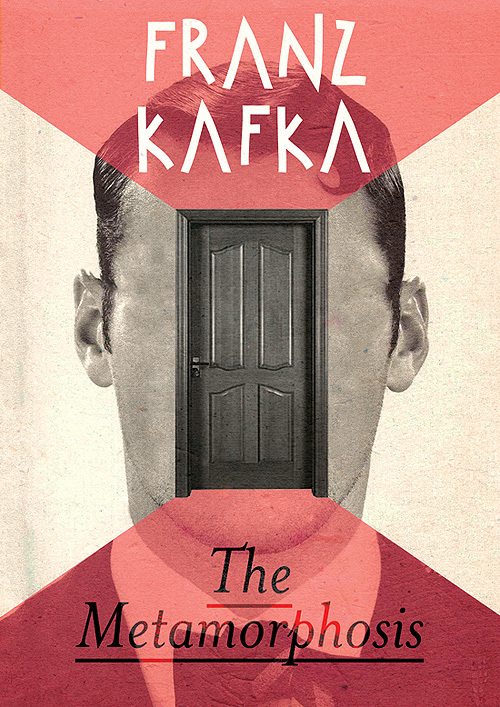 Brod prepared the manuscripts for three of Kafka’s novels and saw them through German publication: The Trial (1925), The Castle (1926), and Amerika (1927). The Trial would not appear in English until 1937, by which time a world still recovering from major economic depression, mired in fascism, and on the brink of another global war, was better prepared for a novel about a man who is arrested and prosecuted by a remote, inaccessible authority who withholds the nature of his crime from both him and the reader. The times had caught up with Kafka’s genius. His books were immensely popular during World War II. Their blend of realism and the fantastic, edged with black humor and themes of alienation, spoke to the anxieties of a rapidly changing 20th century. Sometimes what we’re doing is not perceived as too weird or unprofitable so much as completely irrelevant. 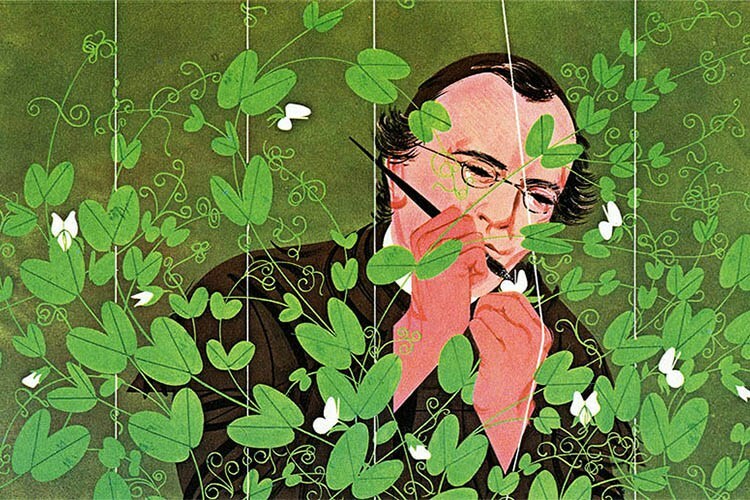 Most folks in the mid-19th century had no idea what Gregor Mendel was up to, puttering out there in the monastery gardens with his zillions of little pea plants. Nor did they care. Mendel was by all accounts a shy, quiet man who suffered occasional psychological breakdowns. He was also brilliant—a scholar of philosophy, mathematics, and physics—and curious about everything, especially the natural sciences. He conducted his experiments in a monastery garden because he had decided to become a monk. In his day, it was one way to extend your education without having to cough up the actual dough, of which he had none. 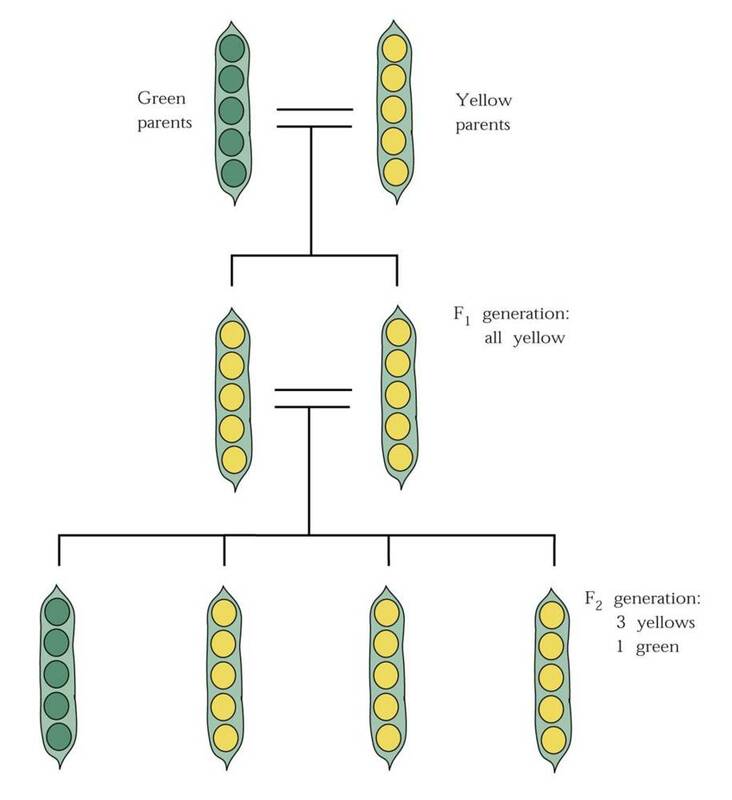 In 1854, when Mendel started looking at how hereditary traits get transmitted in plant hybrids, the prevailing beliefs were: 1) the traits of all species were merely a diluted combo of the parents’ traits, and 2) any hybrid would return to its original form over generations, ergo a hybrid could not result in something truly new. What experiments there had been to bolster these beliefs were dodgy by modern scientific standards. Scant number of trial subjects. Short trial durations. Mendel’s work, by contrast, went on for eight years, involved tens of thousands of individual plants, and mountains of meticulous data. His experiments showed that the inheritance of certain traits in pea plants follows particular patterns. But no one “got it.” When the results of his studies—the first to use statistical analysis to predict hereditary principles—were published, the reaction was a major yawn. Like many a 9th grade biology student, the public, and even the scientific community, failed to understand the huge significance of Mendel’s discoveries about dominant and recessive traits (think Big B/brown eyes/dominant and Little b/blue eyes/recessive) for heredity, genetics, and biodiversity. His key findings, the Law of Segregation (dominant and recessive traits are passed on randomly from parents to offspring) and the Law of Independent Assortment (traits are passed on independently of other traits) would languish for decades before 20th century biologists “discovered” his work, confirmed his experiments, and proclaimed him the father of modern genetics. Sometimes our work or our ideas threaten the status quo. As we saw with Mendel, people will cling tenaciously to any sort of nonsense as long as it’s the prevailing nonsense or gives them power or makes them rich. The price for bucking the established order runs high, especially the more those in power suspect you’re onto a truth that will unseat them. In Galileo Galilei’s lifetime, the world was believed to be geocentric and fixed in place. To suggest the earth revolved around the sun was to contradict Scripture (Psalm 104.5: “The Lord set the earth on its foundations; it can never be moved.”) and to court heresy charges. Galileo was not interested in prevailing “truths.” Born in 1564, on the cusp between natural philosophy and modern science, he just wanted to find out everything he could about the planets, their characteristics and how they moved. 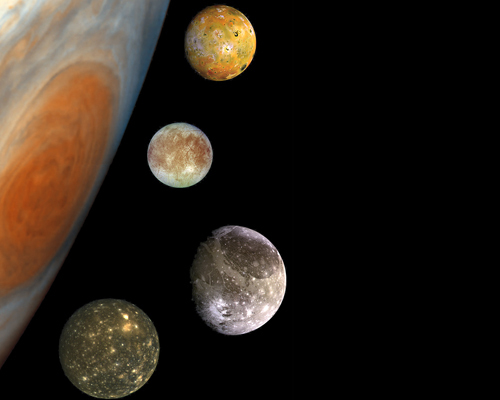 Through the telescope he invented, he was able to view things like four of Jupiter’s largest satellites orbiting that planet, an observation that corroborated Copernicus’s until-then-unproven theory of a heliocentric solar system. Not only did this get the Church’s back up, but the discovery of moons orbiting another planet contradicted Aristotelian cosmology—the “science” of the day—which said that all heavenly bodies orbited Earth. The Aristotelian astronomers felt Galileo’s discoveries made them look like fools, so he wasn’t going to get much help from that quarter either. Pope Urban VIII invited Galileo to write a book giving arguments for and against heliocentrism, including the Pope’s own views on the matter. The catch? Galileo was not to advocate for heliocentrism. In his 1631 Dialogue Concerning the Two Chief World Systems, Galileo did indeed include the pope’s views, but he also strongly defended his own proofs that the earth was not fixed, nor the center of the universe. The enraged pope formally accused him of heresy and placed him under house arrest. Knowing that neither popes nor misguided Aristotelians can silence the truth forever, Galileo continued his work, publishing a treatise on the principles of mechanics and making new discoveries about the moon, until his death eight years later. Stephen Hawking said of Galileo that he probably had more of a hand in the birth of modern science than anyone else. Sometimes, our ideas, our work, our whole way of being just makes people itch. A person who goes their own way, without reference to the status quo—what is expected of someone from their background, of their gender, in their situation—poses a subtle threat to those who are careful never to color outside the established lines. 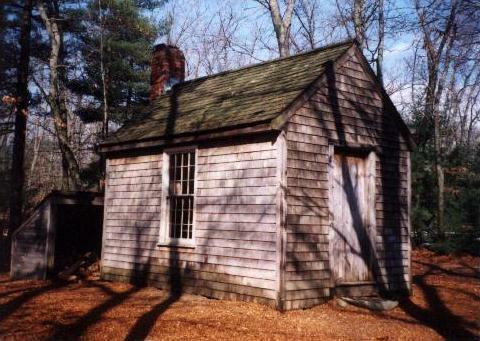 Henry David Thoreau made people itch. A writer and philosopher from a middle-class family, Thoreau studied at Harvard, but could not work up any enthusiasm for the professions available to college graduates in the 1830s: the law, the church, business, medicine. So, he took up teaching in the Concord public school, a job he quit after several weeks because he refused to administer corporal punishment. He then opened a grammar school with his brother, but his brother soon died. What to do next? Troubled by and dissatisfied with industrialization in particular and capitalism in general, Thoreau sought a simpler life, a closer relationship with nature. It was around this time that he met Ralph Waldo Emerson, who became both a mentor and a conduit to people like journalist/women’s rights advocate Margaret Fuller, writer Nathaniel Hawthorne, and writer/teacher/reformer Bronson Alcott. These Transcendentalists believed that all nature and humanity are divine without resort to organized religion, which they saw as corrupt. 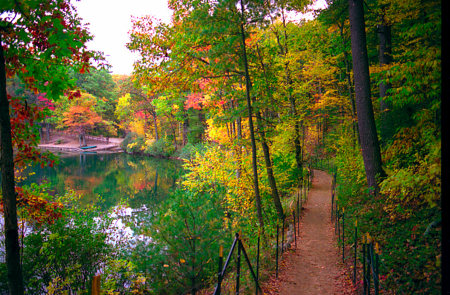 It was a philosophy that dovetailed closely with Thoreau’s own views. Walden received little attention at its publication. People had a hard time understanding this man who lived outside the usual conventions of ambition, a man who lived by his own lights. But after Thoreau’s death, the book became a classic that has informed environmentalists, philosophers, and writers like Tolstoy. His essay On Civil Disobedience, which champions nonviolent dissent, influenced both Gandhi and Martin Luther King Jr. But lack of validation did not lessen the significance Bach’s music or Galileo’s contributions to science. It did not mar the enduring beauty of Van Gogh’s paintings. To accept the judgment of others as a true measure of our merits is to place what is most valuable into indifferent hands. You wouldn’t give a careless stranger your Ming vase to hold. If you believe in your ideas, if you are passionate about your work, don’t be discouraged by what’s trending, what’s profitable, what’s status quo. Keep going. In your lifetime, you must be the final arbiter. Well said Amy, we all need a reminder of this! Yes we do. Thanks Clarissa. Happy writing! Hi Amy. Real good article. Speaking of VVG: I read all of his letters about 15 years ago. The edition I have collects them into three volumes. I did a lot of that reading on buses and subways to and from work. Not only was VVG a great painter, he also was a great thinker and writer, as I learned by reading his letters. Thanks, Neil. 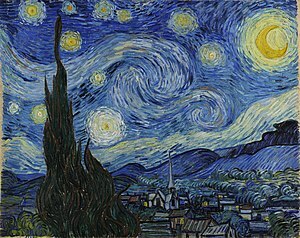 I love Van Gogh. I’ve read his correspondence with Theo. I wish I could invent a time machine that would take me back to that day in Auvers, before he shot himself. I’d take him to a cafe, buy him a drink, and share stories of all the mistakes I’ve made on the road to getting published. He’d have to feel better after that. You’ve probably seen the movie Loving Vincent. If not, you’ll love it. It’s amazing. Very inspiring post. It inspires me to keep going. Recently I read “Vincent and Theo: the Van Gogh Brothers.” It’s amazing and I guess not well known how much Theo encouraged and supported Vincent, including buying all of his paint supplies. I’m glad it helped you to keep going, Toni. You should. You have a lot to offer (whether or not the world’s paying attention at the moment). I’ll check out the book. I’ve read Vincent and Theo’s letters, but I didn’t realize until I wrote this post that it was Theo’s widow who got the work out there finally. There’s no one so determined as a determined woman! Reblogged this on Lori Knutson. Thanks, as always, Lori for your wonderful support. Write happy, my friend. I so needed this today. Validation is something I think all writers are looking for. Passion drives the writer and should be enough, right? I needed this inspiration during a time where I’ve felt like giving up. Thanks Amy! I’m so glad this post caught you in a moment where it could help. Passion does drive writers, but I’ve only ever met one writer who claimed he had no desire to be read–and I suspected him of being a bit untruthful. I’m sorry to hear you’ve been suffering “the doubts.” It doesn’t show in the wealth of flash fiction you’ve been writing. But that’s how we are–writers, people. Strong/fragile. So, keep on trucking. You ARE a Ming vase. I agree with you. Every writer wants to be read. Every writer wants to know that someone gets something from what they write. The doubts come and go with me, as I’m sure they do with a lot of writers. Your pieces are always insightful to mean. Having worked in advertising for many years, I’m used to the mud slinging. I agree, you have to shake it off and keep moving or you’ll never get anything done. If “Mad Men” is anything to go by, you need serious armor. Thanks for reading and commenting, Mimi.